Out of control brows have you flustered? NYX Professional Makeup's Control Freak Brow Gel offers a new way to tame them fast. The clear formula works well over powder or pencil to seal the deal and make a statement with your brows that you will be proud of. The unique non-sticky formula is comfortable to wear all day and can also be used as a clear mascara that defines separates and enhances the natural curl of lashes. There's not really much you can expect out of a brow gel, apart from them sticking your brows in place. That's what it says and that's what it does, unless your brows are really coarse and dense. I have to mix this terrible eyebrow gel with the Australis clear eyelash/eyebrow gel because this NYX product is so weak and therefore a complete waste of money. The Australis clear eyebrow gel is so much better. 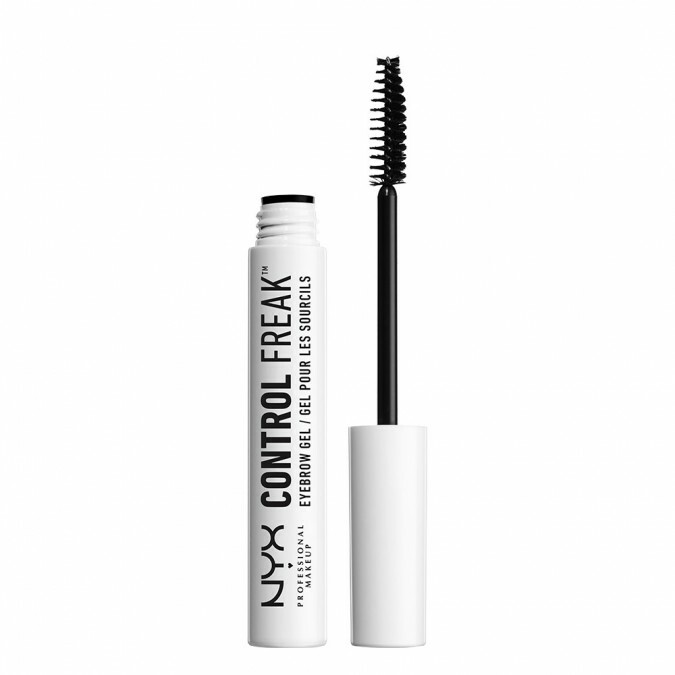 You can't go wrong with this brow gel. This tube lasted me for more than a year and never dried white and never made my eyebrows feel crunchy. I bought this on the recommendation of a staff member. However, it does not hold my brows in place. The AUSTRALIS Extender Lash Mascara Clear is a far superior product.